Discussion in 'Politics & World News' started by Pesqueeb, May 11, 2010. Apparently is going to happen. What is the point and why exactly do proponents think this needs to happen? Whats going to happen if they do this audit and find out that the same people who were doing accounting at Enron are now at the Fed? If youve got nothing to hide why not be transparent? Is there a good reason to keep this stuff secret even if things are being run on the up and up? It's a joke. It's a one time audit from 2007. I want to see what they held 6 months ago, when they took on all of the **** from the banks. This needs to be quarterly, 6 months in arrears. UPDATE - 12:10 p.m. - The amendment to open the Fed to a one-time audit of its lending between December 1, 2007 and the present passed 96-0. Now if we can only get the "spin off derivatives" amendment, the "split up the biggest banks" amendment, the "all costs for bailouts will be retroactively charged to banks" amendment, etc. Why does this thread only have 2 responses? Because there are only a few people here who are finance focused enough to care. Which is a great look at why Americans are getting f*ed by their govt and banks. Now, if like stoney said it became a regular quarterly, semi-annual whatever i would have a little more faith. Because there are only a few people here who are finance focused enough to care. Not all of us are accountants. Which is a great look at why Americans are getting f*ed by their govt and banks. There is some many points in the great bend over that is our Government, to even fully understand a single point of it would cause most people enough frustration they would be rioting in the streets. I'm not an accountant; I am in financial software sales. And they should be. You do realize that our country is so in debt that every person in the country has ~$250,000 in govt debt over their head. That when the dollar does disolve, all of your money (in USD) will go with it. The only good thing our govt has done lately is write a law against bailing out foreign countries, as of yesterday. Accounting is the easy part. And exactly why I DIDN'T get screwed on anything in the last few years. Edit: except for ballooning debt that has nothing to do with me^. I have a tent and a very good knowledge of my local surroundings though. I think that's part of the plan, make the system so confusing that people will get bored and lose interest. That way there's no scrutiny from the public, generally. Most undoubtedly. I work with sell-side traders mostly, but have zero pit exposure as we have no exchanges in SF. Yeah but I bet you've got a mean cauliflower ear from that phone. Im still fundamentally unsure as to what the issue is here. Other than the fact that a lack of transparency indicates to me something sketchy is going on, why exactly is this a big deal? To find out where TARP money went? Dont you risk exposing shaky banks and causing another run/collapse of world markets? The Fed is not legally allowed to invest in anything other that Treasuries or repo's (plus a few other items). So the MBS/ABS on its books are a big question. Also, if they have no value, but are market to book instead of Market (where there is no market) they cash distributed against them is worthless. If the securities are worthless, than the money will never be recovered, and we are taking a guranteed loss, which devalues the currency. Think of it this way: I borrow $100 from you, then loan it to Dante with his car as collateral. If his car has a blown head gasket and dies, I have no recourse of value to give you back you $100. Now imagine that I have the ability to make $100 bills, and do this in large scale, because I am better friend's with Dante than you. Doing it a few times does nothing to the value of your $100. Doing it 20,000,000,000,000 times however makes you $100 worth nothing. Okay, so its an inflation issue. So my next question is do the people who want to audit the fed understand this? What happens when/if you expose the fact that the securites are worthless? Wouldn't that in fact cause the sort of hyperinflation that $tinkle alludes too? And aren't pro-audit people typically the tea-bagger/"america fvck yea" crowd? Would it not be ironic for these people to sink the ship? I understand the angle of wanting the accounting to be transparent on a moral ground, but is it worth the danger of exposing the country to hyper-inflation? 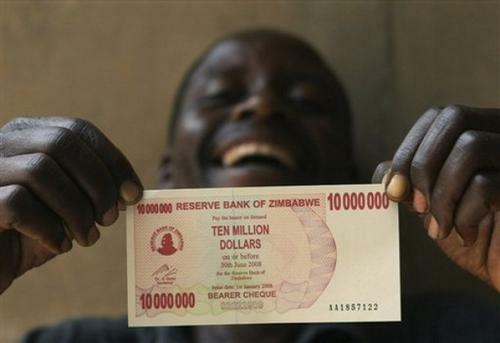 BTW, where can I get one of those Zimbabwe 10M bills? I have to have one. 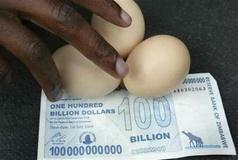 *edit, found a picture of a 100 billion note. I need that instead. Yup. Kinda like the increased capital requirements and pull-back on spending in 1936 caused a double-dip recession in 1937. You've got a bunch of politicians who have zero clue on macro-economics whipping up the ignorant mouth-breathers with catch-phrases and sound bites. Ron Paul has a Medical Degree (from 1961) and yet thinks that he knows more about how to manipulate the economy of the US than someone like Volker, Bernanke, etc. He's demanding an audit of the Fed based purely on political, not economic grounds. It would be like going to a heart surgeon and telling him exactly how and how not to perform open heart surgery on you. You're (or your insurance is) paying him $100k for the operation because he's the best in his field, and yet you feel that your chosen occupation of "politician" means you're more qualified than he is in determining how to proceed. As a question for Joker, care to explain the macro economic consequences of a reduced Fed role in purchasing treasuries/MBSs to keep interest rates low? Because my understanding would be that mortgage interest rates would rise, housing sales (and prices, and local tax revenue based on those values) would plummet, and millions more would be unemployed due to overwhelming weakness in the housing sector. Or if they reduced purchasing treasuries *all* interest rates would rise with the combined affect of our US debt being much harder to finance, our economic recovery would falter, there would be higher unemployment and less income tax revenue, and the deflation that we've been experiencing would accelerate, possibly leading us into The Great Depression 2.0. Of course, the right-wing doesn't care, as they'll try to pin the "blame" on Obama and the Democrats just as they've declared that The Great Depression 1.0 was not brought about by Hoover's (Republican) policies in the 1920s, or the irresponsible banks in the 1920s, but rather by FDR who created social programs starting in 1933. Yes, it's true, the GOP blames someone who came into office 3.5 years AFTER the start of the Depression... Kinda like the revisionists who are trying to blame this all on Obama, who took office 5 months after everything started going downhill. I'm just happy that I seem to be following this stuff. Kinda like the revisionists who are trying to blame this all on Obama, who took office 5 months after everything started going downhill. I love how the GOP doesn't mention the banks GWB bailed out. My feeling is that currency needs to be pegged to physical assets. Be that gold, silver, or a basket of commodities. Without this peg, there is nothing keeping a government from using money printing as a political tool (see welfare states). While Paul's drive to go back to the gold standard is ambitious, for gold to be properly vauled vs the actual amount out of ground, it would be near $5k/oz and the US would not have enough gold to truly match the standard to dollars outstanding. Without a peg, or limit to the amount of currency the politicians and banks (which truly run the Fed), there is nothing stopping my dollar from devaluing. I would much rather see 1-2 years of very difficult times and fallout, then 20 years of downfall. This is something I've thought a lot about. I've often wonderd if maybe we should have let the big banks collapse under the wieght of thier own stupid. Was it really the edge of the abyss as it was portrayed? How long would it have lasted? Maybe it would have sucked for a while but might we have been better off long term? Thoughts? It would have been very ugly, but in doing so, it would have destroyed trillions of dollars of bad credit. That destruction would have erradicated most of the bad debt and the void from the large banks would have left open opportunities for the banks that were prudent to come back with a vengence. That Bear and AIG were not wound down is shocking to me. They likely would have taken down the top 5-10 banks, but if a bank is leveraged at >20-1 which iirc is the legal leverage amount, then they are already bankrupt. My guess? Yup. Knowing how much certain industries rely on credit to run their businesses, a further contraction in credit would have been absolutely devastating, resulting in further deflation, more unemployed people, and literally a return of the Great Depression. Remember, the US recapitalized the banks in several different ways. There was TARP (direct handing of money), TALF (lending based on questionable securities), zero-percent-interest-lending at the fed window, etc. Without these I'd guess that almost every major financial institution would've failed. This is a GREAT read on Minyanville.com regarding deflation and the velocity of money. Mauldin is on it. If you arent already, you should be signed up to the free news letters from Casey Research and Mauldin. Very good contrarian looks. when the dollar does disolve, all of your money (in USD) will go with it. future US currency? 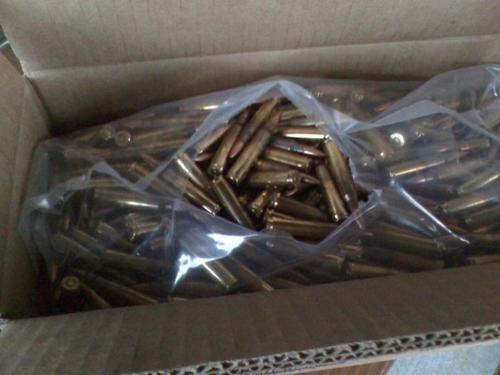 I'm rich!!!! Did someone just say "deflation"? Consumer prices fell in April for the first time since early last year, and inflation rose at its slowest rate since the 1960s, a new government report said. is that deflation, per se, or just something less, like finding its center? I see your 100 Billion and raise you 100 Trillion!!! A central bank. Part of a certain manifesto. Why is the printing of currency still tasked to a private entity that originated in 1913? Anyone else know that the Federal Reserve is as federal as Federal Express?